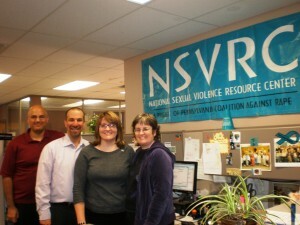 CALCASA’s David Lee and Chad Sniffen just returned from visiting the National Sexual Violence Resource Center and National Resource Center on Domestic Violence where they discussed the next steps for national resources centers to support online activities to advance sexual violence and domestic violence prevention efforts. 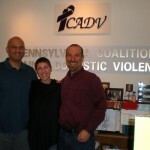 CALCASA recently received funding from the Centers for Disease Control and Prevention to continue its national online project Prevention Connection that will collaborate with the National Sexual Violence Resource Center and VAWnet: The National Online Resource Center on Violence Against Women. In the next three years these three centers’ efforts will provide online ways to connect, discuss, explore and share the emerging knowledge base of violence against women prevention. The more that can be done to raise the issue of Domestic Abuse on a national level the better, futher the more pro-active we can be, the more lives that may be saved!